Volunteer in Morocco with Volunteering Solutions on a range of volunteer work opportunity in Morocco including Childcare, Women Empowerment, Teaching English, NGO support etc. that are located in and around the famous Medina Region, in Rabat. All projects are perfectly suitable for students, couples, families as well as participants looking to take some time from their work and make a meaningful contribution towards the Moroccan society. While volunteering in Morocco, experience the goodness of exploring the most exciting, culturally rich and diverse destination in North Africa. Rabat, the capital of Morocco, has its own distinct flavor. Its strategic placement on the world map makes it closer to Spain and Europe and hence a quick fly destination for westerners. Most of the project placements are located in and around the famous Medina Region. Medina is one of the star attractions, in Rabat. In Moroccan cities, you can find the magnificent maze-like alleys combined with districts having buildings of fascinating colonial architecture. For our volunteer travel enthusiasts, Rabat is around 2.5 hours away from Fez and around 5 hours away from Chefchaouen, the blue city. 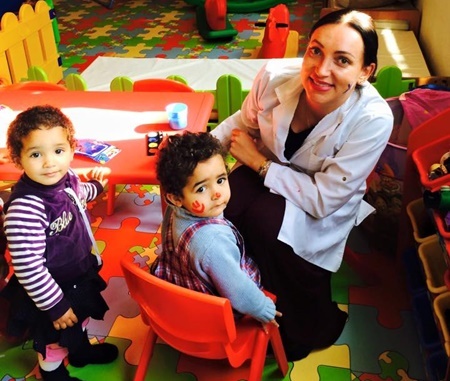 Under the childcare program, volunteers work in orphanages, NGO's that help street children and run kindergardens for disadvantaged children in Rabat. Morocco has one of the lowest literacy rates in the world, despite the fact that government provides free education to children below 15 years of age. Volunteers can easily take short weekend trips to Fez, Marrakech, Casablanca or Chefchaouen. Explore the local markets, go for camel rides and desert safaris, and much more. Of course, you will surely need to hit the blue lanes of Chefchaouen and click those perfect Instagram-worthy shots! This beautiful country with a mix of the best from East and West will never fail to mesmerize you. And of course, try the amazing Moroccan cuisine. 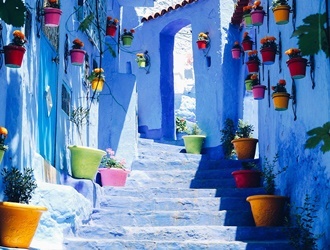 In case you have some other things added to your Morocco bucket list, do let us know and we can arrange a trip for you! Explore Chellah – Admire the beauty of Roman and Islamic ruins at this medieval fortified city buried in the heart of Rabat. Marked as a UNESCO World Heritage Site, the abandoned buildings, and overgrown plants, immaculately maintained flowers as well as the public pathways will surely leave you drooling over its beauty. Soothe your soul in a Hammam – You just can’t miss this opportunity to hit a traditional Moroccan hammam and cleanse your body and soul on a weekend, letting yourself free from all aches and pains. You’ll find public hammams at almost every corner of the country!? Chill at the beaches – Bordered by the Atlantic Ocean to the West and the Mediterranean Sea to the North, Morocco has no shortage of beaches to explore. If you wish to chill on the beachside, then head towards Tamara Plage located 13 kilometers south of Rabat. Go for a weekend trip to explore the Sahara – Well, if you are looking for some adventure in the desert, then you gotta spend a night amidst the Sahara! Ride a camel and cross the dunes, gaze as the sun sets behind the golden horizon, and sleep under the starlit sky at a desert camp. When should I apply for the volunteer programs in Rabat, Morocco? It is advised to apply for the projects once the volunteering/ traveling dates are decided as there are limited spots available. The application fee is valid for one full year and can be sent earlier than the desired year of volunteering for timely confirmation of the seat. As soon as you decide the travel dates, we suggest you apply for the program and hold your spot. We generally follow the first come first serve rule. Usually, it takes around 10-12 working days for the application to be processed and placement to be confirmed. After we review your CV and documents your booking is confirmed and the booking confirmation is updated in your My Account and you can view the information in your account. The application acceptance depends on the availability of seats in the project as well as the eligibility criteria of the program (age, skills and experience etc.). Are there any necessary requirements to participate in the Morocco Volunteer Programs? Need to have an open mind and flexible attitude for working in a new and different environment. 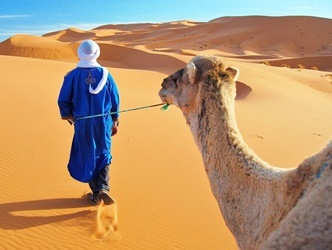 Morocco is a country of different culture and traditions, though it is modernized, the cultural sensitivities need to be kept in mind before volunteering in Morocco. Volunteers need to have Clean Criminal Background Check Report for the childcare projects. Knowledge of Arabic / French for the Women Empowerment and NGO Support projects. Yes, you are welcome to take part in Morocco Volunteer Program as part of a group. We welcome families, friends, high school students, college/university and corporate groups to volunteer together in the programs. Volunteering Solutions Morocco Program has hosted student groups as well as families coming to volunteer in the programs. Yes, most definitely you can, as we believe every participant brings something new to the project. If you do not have previous experience, we offer you the opportunity to have a great start with us. We make international volunteering easy – not only are our Volunteer Abroad opportunities rooted in offering you extensive support, but they are also very affordable. 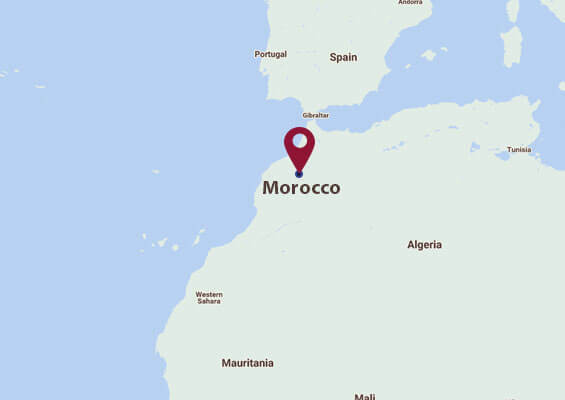 What are the Program Locations in Morocco? Our programs are located in Rabat, which is the capital of Morocco and also its third largest city. The city offers a great mix of modern and traditional cultures. The Medina is the old city area and most of our projects are located there, along with sister city of Sale. Medina has still managed to keep its old traditions, customs, and cultures intact. The moment you step into Medina, you would feel you are closer to Moroccan culture. Most houses in the Medina area maintain the old world charm. Most of our host families are also located in the Medina area and this would give you a great chance to understand what Moroccan culture has to offer. When do I need to arrive in Rabat for my program? What will happen once I arrive in Rabat? All volunteers need to arrive at Rabat–Salé Airport (Airport Code: RBA) on the program start date i.e Sunday. If you are unable to find flights on the scheduled for the arrival dates, please get in touch with Volunteering Solutions team and we would be happy to provide you the pickup and accommodation from a different date depending on your flight schedule. You will need to pay extra charges for the accommodation depending on the number of days you arrive before the program start date. A brief orientation would be conducted on the same or the next day where you will also be shown the area around the accommodations, the nearest ATM, market, and will be given safety guidelines as well as information about your project. Depending on the project, volunteers will work during the week from Monday- Friday for 5-6 hrs every day. You will have the weekends free, so you can travel on weekends. However, volunteers need to be flexible, open minded and understand that work requirements can change as well on certain occasions. All enrolled participants are provided information on the appropriate visa requirements for Morocco in the Pre-departure manual. You can also contact your Pre-departure point of contact to know more about the visa requirements. Citizens of countries such as UK, USA, Australia, Canada, Japan and majority of the EU countries do not need a visa to enter Morocco. On arrival, you can get a 90-day tourist stamp on your passport. Make sure your passport is valid for at least 6 months. What are the recommended airlines to fly to Rabat, Morocco? Rabat–Salé Airport (RBT) has direct flight connections from European and Middle Eastern destinations. Ryan Air, Royal Air Maroc, Air France and Iberia are some of the major airlines flying into Rabat. You can also arrive at Casablanca Airport as it has more international flight connections. From Casablanca, you can travel to Rabat by train. Will I be picked up from Casablanca Airport if I take a flight till there? Volunteers can also arrive at Casablanca International Airport, which is a much bigger airport than Rabat and is better connected to international destinations. From Casablanca, you can arrive in Rabat by a convenient one hour train ride. Volunteers will be received at the Rabat Ville Station by the local coordinator or representative and will be transferred to the volunteer accommodation. The train ride from Casablanca to Rabat Ville is for 1:30 hrs. You can click here for more information about the trains. How safe is Rabat and Morocco in general? Volunteers are given safety precautions and instructions by the local coordinator during the orientation as well as in a Pre-departure handbook after one has enrolled for the project. Rabat is a safe city, but like in any new country, we always advise participants to be careful while venturing out. All participants are recommended to consult their physician or travel doctor before traveling to Morocco. To view the general list of vaccinations recommended for your travel to Morocco, click here. Your program coordinator in Rabat will take you to your placement and introduce you to everyone after giving you a basic orientation about the program/city/culture etc. You will be told about the directions to the project from your accommodation and the mode of transport which you can use. Most preferred mode of transport within the town is the Public Bus or Taxi, the coordinator will be happy to guide you regarding that. Volunteers in Rabat project have the option of staying in the volunteer house accommodation or with a host family. Volunteer house accommodation would be a great experience as one would meet other like-minded participants from around the world, the host family accommodation would be for those looking for a great cultural immersion. The volunteer house accommodation has five rooms which are shared between the participants. The accommodation is located in a very safe and friendly neighborhood. The house has a big kitchen and showers for the volunteers use. The project placements are around 10-15 minutes away from the accommodations, also volunteers will be served 2 meals a day. We recommend participants to try their hands at some amazing Moroccan cuisine. Yes, that is not a problem at all. But please do let us know about your dietary requirement beforehand. Depending on your project placement, you may get evenings and weekends free to travel and explore the place. Weekends are free for the volunteers and you can go for a short weekend trip. There is a lot to see in Morocco and you can head out to Casablanca, Fez or Marrakesh. Do not worry, all the coordinators can speak and converse in English. Most of our participants are non-Arabic/ French speakers and they’ve never had any problems while communicating. Like we say, Love is expressed better through actions than the language. However, if you can learn some French/Arabic before coming it would be an added advantage for you. Where can I change my money in Rabat? Are there ATMs in the city? On arrival in Rabat, you can change your foreign currency to get Moroccan dirhams. Rabat Airport has a foreign exchange service and you can change your money there. ATMs are also available in the city. Are there more expenses once I arrive in Morocco? How can I connect with past Volunteering Solutions alumni as well as other former and current volunteers ?